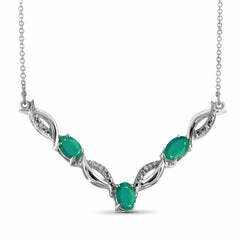 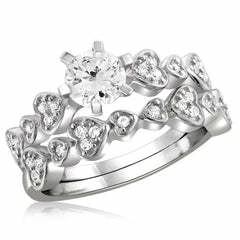 Express your love with this classic bridal set. 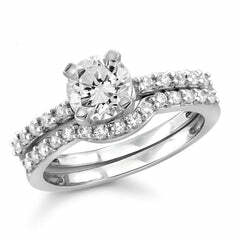 Expertly crafted in stunning silver, the engagement ring showcases a cubic zirconia center stone standing tall atop a shank lined with smaller prong-set accent diamonds. 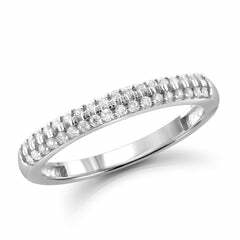 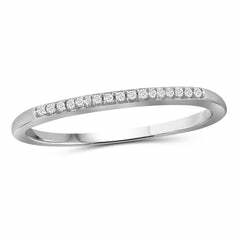 On your wedding day, the coordinating contoured and cubic zirconia-lined wedding band fits snuggly beneath the engagement ring, completing this elegant ensemble. 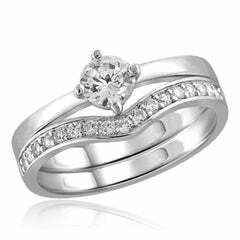 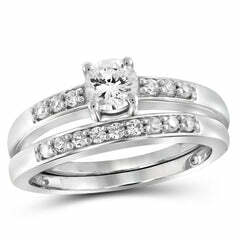 Simple yet stunning, this bridal set captivates with bright polished shine.